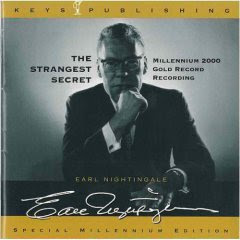 For those of who you have not listened to it "The Strangest Secret" by Earl Nightengale is a great recording on how we think and how that makes us act. Every class I have taken here at Harvard backs up his statements made over 50 years ago. If you are too busy or cheap to buy the recording the basic message is you are what you think. You reap what you sow. If you think great things you will become great. If you plant weeds by thinking about cheating the system or bad things in general you will become a bad person. It might seem overly simple but it is something some people have never contemplated and most others don't keep in the front of their mind.